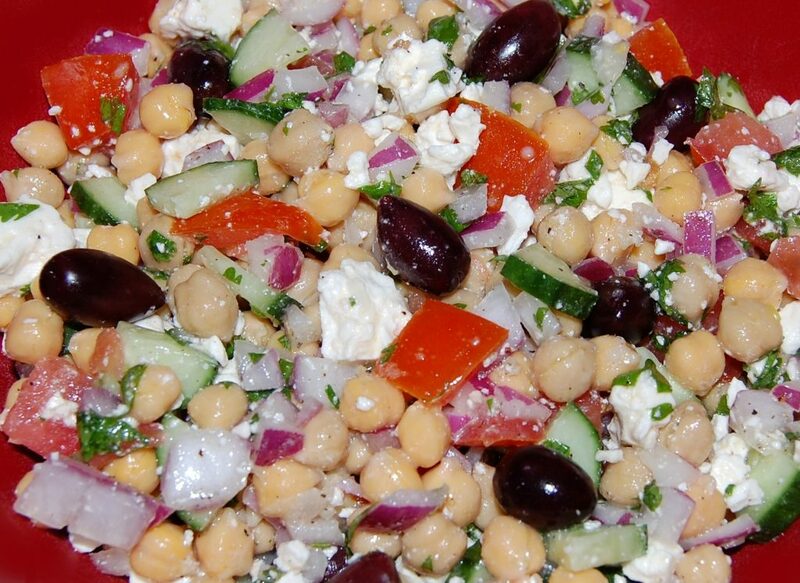 Chickpeas, tomato, red onion, cucumber, Kalamata olives and feta cheese are the main characters in this easy, flavorful, Mediterranean inspired salad! 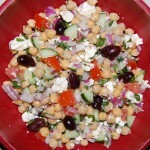 In a large bowl, toss together the garbanzo beans, tomatoes, feta cheese, onion, cucumber, olives, garlic, and cilantro. In a separate bowl, whisk together the olive oil and lemon juice; season with salt and pepper and pour over the salad. Refrigerate at least 4 hours before serving.